Air Relax is happy to announce the substantial increase in allocated prize money for the Ladies category of the Lowveld Tour due to take place from 9 to 12 August 2018 in Swadini, a Forever Resort. In an effort to promote and support ladies cycling in South Africa, Air Relax have raised the stakes for the women’s category with the introduction of a pink leaders jersey and prize money matching the men’s categories per stage for top placing cyclists in the ladies category. Previously known as the Clover Tour, Air Relax recently signed up to the event as new headline sponsors for 2018 and 2019. This is one of the top road tours in the country situated in one of South Africa’s most picturesque and physically challenging environments! The 4 day, 5 stage event takes place over the Women’s Day 9 August 2018 long weekend. 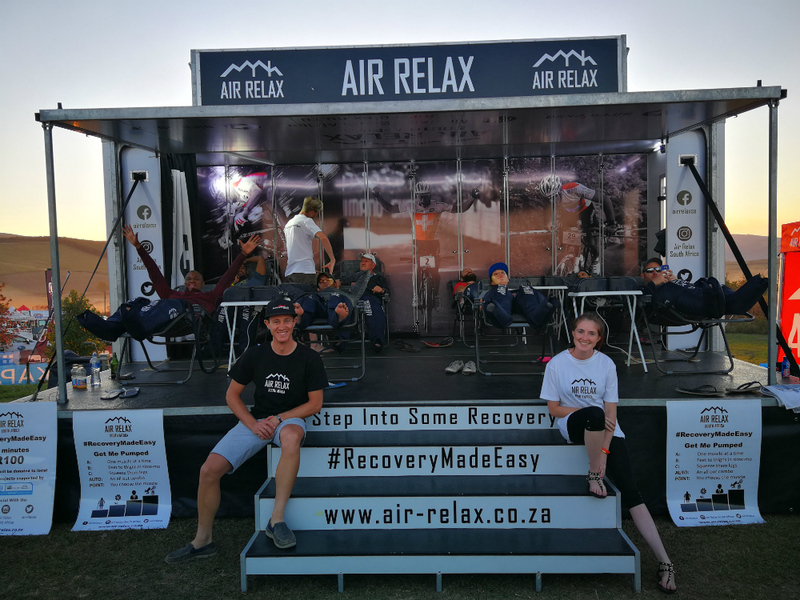 Air Relax offers digitally controlled air compression therapy which boosts recovery of athletes and boasts the highest pressure rated system in South Africa. “We are very pleased to endorse women’s cycling at this year’s Air Relax Lowveld Tour with the introduction of prize money equaling that of the men’s racing categories for all ladies taking top 3 positions in each stage. In addition, there is no minimum ladies entry requirement, “explains Hendrik Wagener, HA Toere event organizer. “In the overall results, the value in prize money has been increased by 400% and will be paid to the top 5 ladies. An added benefit is the inclusion of the Air Relax Ladies Leader’s jersey, racing in the same category (and race distance) as the junior men and 50+ men’s categories” states Wagener. The 2018 Air Relax Lowveld Tour has moved to a new venue due to the road conditions around Graskop, Mpumalanga being declared as unsafe. Hosted by Swadini, a Forever Resort in Hoedspruit, the new routes will provide safer roads, a more controlled environment and a completely new challenge to the loyal cyclists that part-take in the Lowveld Tour every year. The Tour was a great success at the new location last year and so too the recent Vet’s & Open Men Tour held during June. A highlight of the Tour is stage 2, where event participants will cycle 126kms from Swadini towards Graskop, leading through the Abel Erasmus Pass and JG Strijdom Tunnel. This landmark is the link between the game reserves of Limpopo and the spectacular Blyde River Canyon of Mpumalanga, giving cyclists the opportunity to travel on the actual route used by the gold rush pioneers in the late 1800’s. Apart from the warm water swimming pool at Swadini, Air Relax will welcome cyclists after each stage with a unique experience at their recovery zone. Cyclists will have the opportunity to use the Air Relax recovery boots and shorts after each days cycling in order to recover for the next day’s stages. Entries for the Air Relax Lowveld Tour 2018 close on 5 August 2018. Enter today at http://www.cycleevents.co.za/road-events/lowveld-tour-2018/. The Air Relax Recovery Zone offering a unique experience after each stage. Try the Air Relax recovery boots and shorts to boost your recovery and enhance your performance.